This article provides some useful tips on how to turn your new and existing customers into active customers. The author states that: there are many times or reasons that a small business will receive an influx of new customers — such as around the holidays for retail stores, during a new product or service launch or after a local advertising campaign. While new customers are great, returning customers are even better. Social media offers a number of opportunities to turn your new and existing customers into repeat customers and fans. Direct new customers to your social media sites by inviting them to become your friend, become a fan of your fan page or join your group or follow you on your blog or on Twitter. Offer opportunities and incentives to keep them interested — engage them with new content, great information and resources and exclusive offerings. Promote your business — your services or products. Offer exclusive deals. Build a community around what you do. 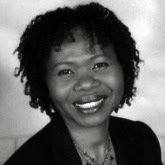 Dr. Cheryl Cottle is an Educator, Instructional Technologist and System Analyst. She is the Founder of Cottle’s Professional Consulting. Dr. Cottle is also the creator of two online forums — Women in Business on Facebook and CPC Women in Business.